When Will A DUI Suspend My License? The two main concerns for anyone that is arrested for DUI are typically going to jail and losing the ability to drive legally. We touched on the likelihood for jail sentences in a previous post, so in this post we will stick to a discussion about the potential for dealing with a suspended license. It is important to understand that there are two different events that can result in a suspended license, and one generally has nothing to do with the other. The first event is the initial traffic stop where the officer will ask you to take a breathalyzer test to determine blood alcohol content or BAC. If you refuse to submit to the test then your license will automatically be suspended for 270 days for a first refusal and 2 years for a second or subsequent refusal. The suspension is administrative, and is initiated after the arresting officer submits an order of suspension to the driver, and forwards copies to the MVA. The suspensions were increased to these numbers in October of 2016 after the passage of the Drunk Driving Reduction Act. The suspension for a refusal will actually go into effect after 45 days from the order of suspension, and you will be able to legally drive during this time. The paper order of suspension will serve as the temporary driver’s license. During these first 45 days defendants have three choices to make. First, they can elect to install the engine interlock device (also known as blow and go) in their car and then obtain a restricted license from the MVA. The restricted license will state that the driver is only allowed to drive a vehicle with the device, and for a refusal must be maintained for a minimum of one year. You can only obtain this type of restricted license after you present the MVA with a certificate of installation from the company that installed the interlock device in your car. 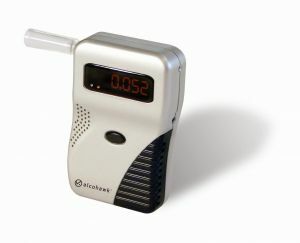 If you refuse the breathalyzer you also have the option of requesting a hearing in front of an administrative law judge. The hearing will take place at an MVA branch office or the OAH in Hunt Valley, Baltimore County. When dealing with a refusal case, a hearing officer may only uphold the suspension or reverse the suspension. They will not issue a restricted, work only license. The only realistic ways to win an administrative hearing are to prove that you didn’t refuse, or that the cop had no legal basis to request the test in the first place, and most hearings end up with the driver walking out disappointed, so think twice before requesting one. The third option for a driver that refuses the test is to accept the 9-month suspension. If the police did not confiscate your license you must turn it into the MVA or sign a form stating you lost it in order to get credit for serving the suspension. The penalty for taking a breath test and scoring above the legal limit is less severe with respect to losing your license, though these results will pretty much prevent you from winning your case in court. Drivers that submit to the test and fail will lose their license for 180 days or 270 if it is a second offense and the test score is .15 or above. These drivers have the same three options, but the engine interlock device will generally be required for six months. In addition a driver that submits to the test and fails may be eligible for a restricted license that will allow travel to and from work after requesting an administrative hearing. If you submit to a breath test and pass or if the police take a blood or urine sample the arresting officer will not legally be able to take your license and issue an order of suspension right then and there. This does not mean you are in the clear though. Blood and urine test results can take weeks, and it is entirely possible that a person arrested for drunk driving to be able to legally drive for months before an administrative suspension is initiated. If you are arrested for DUI it is important to check your mail and notify the MVA if you move, as you could receive a notice of suspension at a later date. This is also true for out of state clients, as a police officer does not have the authority to confiscate an out of state driver’s license. If you have an out of state license you won’t lose it, but your privilege to legally drive in the state of Maryland may be suspended. In addition to receiving an administrative suspension for a refusal or for testing over the limit the courts may have a say in whether you are legally able to drive. If you are found guilty in court the MVA may impose points that could result in a license suspension. A DUI conviction carries 12 points, which will result in an automatic suspension, while a DWI carries 8 points. As of October of last year, if you are found guilty of drunk driving a district or circuit court judge is now required to order participation in the engine interlock program. The term will be 6 months for a first conviction, 1 year for a second and 3 years for a third or subsequent. If you are found not guilty or if your case was dismissed or nolle. prossed your administrative license suspension will not go away or be cut short. This is the case where unfortunately one thing has nothing to do with the other. The federal courts handle a large number of drunk driving cases in Maryland due the numerous federal properties and parkways that are patrolled by federal police officers. If you are convicted of DUI in federal court you will not receive points on your driving record, so therefore your license will not be suspended. However you may be ordered not to drive or ordered to use the interlock device. There is no such thing as a probation before judgment in federal court and no cases can be expunged. There are so many different variables involved when discussing the consequences that a drunk driving arrest has on your license. For more detailed information about your specific situation feel free to call criminal and traffic attorney Benjamin Herbst at 410-207-2598 anytime.